His Justice movement has worked out a "plan of dignity" for the social protection of veterans. The "Army of Dignity" project established by the former head of the Security Service of Ukraine (SBU), Valentyn Nalyvaychenko, has announced launching a cooperation programme with the organizations of veterans of the Croatian War of 1991-1995. According to its press office, Nalyvaychenko’s allies from the Justice social and political movement, Markiyan Lubkivskyy and Taras Kostanchuk, visited Croatia where they held a series of meetings and talks with leaders of the most influential veteran associations. The purpose of the visit, according to the press release, was to broaden the organization’s international cooperation and study Croatia's experience in the field of social protection of veterans. "Our cooperation with the Croatian side will cover the three key areas. 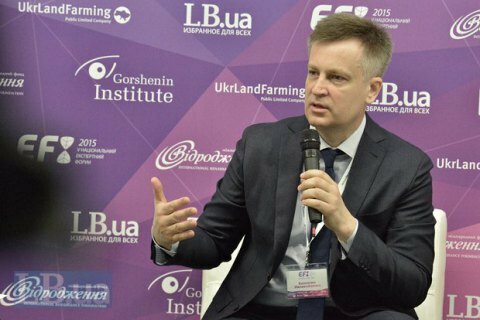 We will learn from the experience in the areas of social protection for all, without exception, defenders of Ukraine, the modernization of the defence sector and mine clearance of territories," Lubkivskyy said. He added that Croatia not only has experience of winning the war and recovering its territories, but also has unique expertise of taking effective care of its defenders, providing for their social and medical needs. Taras Kostanchuk, for his part, said that Justice would in the near future present a “dignity plan” for the social protection of veterans and soldiers, based on the Croatian experience.